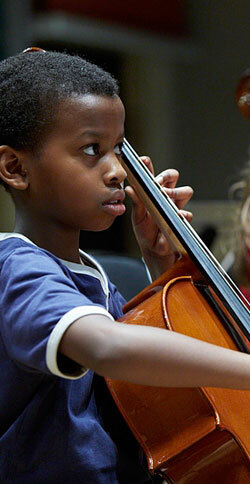 Through the LSO On Track programme, the LSO aims to provide opportunities throughout each season to celebrate and inspire young instrumentalists in East London. 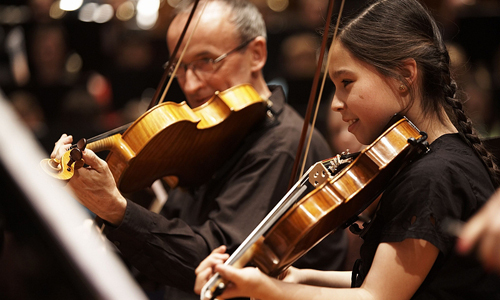 Young musicians of all levels play alongside music college students and LSO musicians in specially arranged and commissioned works for all abilities. As part of the project, young musicians receive coaching from LSO musicians on their instrument, and to develop their creativity and confidence in music making. Projects are designed to inspire young musicians and give them the rare experience of performing alongside professional musicians in world-class venues. All Celebrate & Inspire performances are recruited for through our Music Service partners. LSO On Track Mixed Ability is generously supported by HSBC and LSO Patrons.